29 March 2017. By Matthew Holehouse. The UK government's plan to rewrite thousands of pieces of regulation at speed through executive powers could result in a deluge of legal actions. On Thursday, Theresa May will publish a policy paper on the "Great Repeal Bill," a vast piece of legislation designed to ready the UK statute book for its separation from the EU's legal order. The aim is to reassure businesses operating in the UK that their regulatory regime will, as far as possible, be unchanged. But the bill's reliance on secondary legislation — a device normally only deployed for minor technical changes — could well attract litigation from parties who argue the recourse to ministerial writ — over parliamentary lawmaking — is improper. A high-profile Supreme Court case on the triggering of Article 50 earlier this year demonstrated there's a well-funded pool of activists prepared to bring legal challenges on points of constitutional principle. But businesses and pressure groups will also be watching out for more specific unwelcome effects — unintended or otherwise — of the legislative rewrite. In a note to UK lawmakers in January, the British Bankers' Association noted the courts' power to strike down "delegated" acts that bypass parliament, and called for the legislation to be carefully drafted to prevent this. The bill will repeal the European Communities Act 1972, the law that links the UK to the European legal order. It will also seek to transpose around 5,000 directly applicable EU regulations — covering issues such as food safety — which do not exist in domestic law and will otherwise cease to apply in the UK. And the bill will need to amend UK law so "that our legal system continues to function correctly outside the EU," the UK said in a policy paper on Brexit in January. To do so, the UK will rely on statutory instruments — provisions that allow ministers to amend or update legislation without parliament needing to pass a new act. These powers are typically used to resolve the detailed work of implementing legislation — designing a new tax scheme, for example — or updating things that change frequently, such as the penalty for a driving offense. In general, the changes should be technical rather than amount to a new policy. The bill will also rely on more controversial "Henry VIII" powers. These, named after the 16th century English monarch who ruled by proclamation, grant ministers the ability to change primary legislation itself. Theresa May's spokesman said on Tuesday that these powers will come with sunset clauses, meaning they can only be used to change primary legislation within a defined window. Major changes to the UK's administration — for example, creating a new immigration or customs system — will require new bills and will not be attempted through secondary legislation, he said. The Great Repeal Bill is due to be introduced to parliament in May. It will need to pass at speed, as the necessary amendments to the statute book must be in place before the UK leaves the EU. Ministers may need to make repeated amendments as the new relationship with the EU unfolds through negotiations. In Brexit legislation, these powers will be put to unprecedented use. The bill has been mislabeled a copy-and-paste exercise. 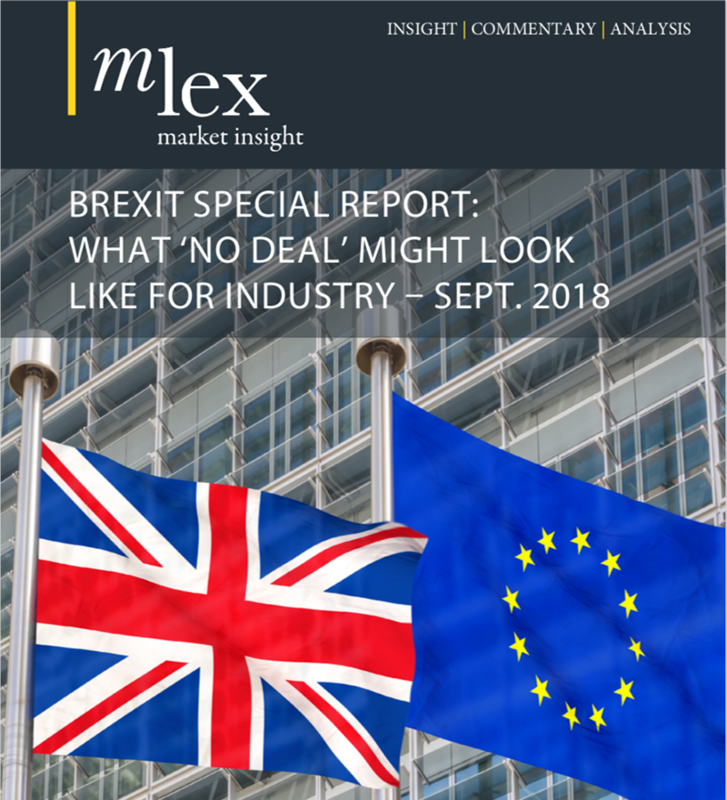 In reality, it will require sweeping amendments as a new, UK regulatory architecture is introduced to replace the EU framework. In the field of environmental legislation, around a third of legislation will require substantial amendment. The question of how effectively the UK recreates the EU's enforcement mechanisms domestically is concerning campaign groups. References to the EU Court of Justice, the European Commission, and agencies such as the European Chemicals Agency will need to be deleted and replaced with UK equivalents. The rules on how those agencies interact with UK companies or agencies will need rewriting. In a note to lawmakers, the World Wide Fund for Nature's UK office noted that EU agencies have the ability to bring binding infringement proceedings on national government. The body said it "struggles to see how the above elements will be transposed into national law," meaning the rules they police will be "only partially functional." The upheaval will produce winners and losers. The bill's reliance on secondary legislation makes it vulnerable to challenge. Under English law a court can strike down laws made through powers delegated to ministers. This power was upheld last year by the Supreme Court, which noted they "are not subject to the same legislative scrutiny as bills" and therefore should come under judges' supervision. A judicial review could be sought on the grounds that a minister, in amending a law, had gone beyond the powers allowed him or her to draft secondary-legislation "Statutory Instruments." For this reason, the Great Repeal Bill will need to strike a balancing act of giving ministers enough room to manoeuver to prepare the statute book for a fluid negotiation, and a soft landing post-Brexit, without granting untrammeled powers. Alternatively, a challenge could be brought on grounds of a failure of the government to consult with affected parties over the proposed changes. This is a clear risk given the speed at which the Great Repeal Bill will be conducted. Lawmakers have asked for enhanced scrutiny procedures of the proposed changes, but there is no sign a formal consultation with industry or campaign groups being prepared. Even parties who have not been significantly disadvantaged by the new regime may take advantage of its fragile foundations and bring challenges in the hope of shaping it further to their favor, noted Jonathan Blunden, a lawyer at Kingsley Napley in London. And a deluge of cases will present a dilemma for judges, he said. "The courts have traditionally afforded a lot of deference to public bodies in the way they make decisions, and they don't really like to intrude unless it is absolutely necessary," he said. "Equally, however, there are well established principles that Statutory Instruments and their making is tightly policed by the courts." George Peretz, a public law barrister at Monckton Chambers in London, said he expected the UK courts to be unforgiving with ministers, and assume in any challenge that "parliament cannot have intended the power to be any wider than the narrowest possible meaning." "The courts see themselves as defending the rights of parliament to make important changes in the law," he said. "Any attempt by government to use its law-making powers under the bill to significantly cut back on individuals' rights, or to reduce the protection of areas such as the environment, is likely to be overturned by the courts." The solution for the government may be to follow up the Great Repeal Bill with a series of acts, enshrining the new regime in primary law. For businesses, it means many more years of uncertainty.